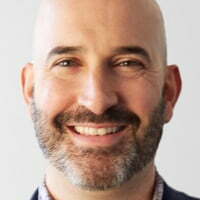 US prodco MY Entertainment has appointed a former Discovery producer as its exec VP of production, development and strategy. Jon Sechrist will take up the newly created role in New York and will report to MY Entertainment president and founder Michael Yudin. Among Sechrist’s first projects in the development pipeline will be docuseries Hidden Assets (working title), fronted by Matt Paxton, and Sin City Sober (working title), which focuses on a Las Vegas rehab centre. At Discovery, Sechrist spent time as an executive producer at TLC, VP at Discovery Networks International and senior VP at production subsidiary Betty. Prior to joining Discovery, he worked as a programming executive at ABC, where he oversaw dramas All my Children and One Life to Live. Sechrist began his career at Viacom’s MTV, becoming a member of the core development and production team behind Logo, the first LGBT channel in the US. New York-based MY Entertainment also has an office in LA. It produces series including Baggage Battles, Sin City Justice and Beyond Borders.